Nicaragua is the second poorest country in Latin America. In some of the rural areas there exist the highest suicide rates in all of Latin America. Generalized poverty conditions, high unemployment rates and forced immigration are the sad reality for the majority of Nicaraguan families. Yet, in spite of all the odds the majority of the Nicaraguans are a people of deep faith and hope. From years of experience in mission and work with youth at risk, Pat is convinced that our work as Christians must be creating hope in the midst of hopeless situations…¨In fact, the message of Scripture is always one of hope no matter the circumstances we are under. The majority of the Scriptures we have today were born out of situations similar to those of Latin American: oppression of the poor, corrupt empires supported by pseudo religion, etc. Pat has learnt from his experience that when you open and delve into the Scriptures with the poor and the youth, you can indeed find hope and offer a faith filled approach to life. 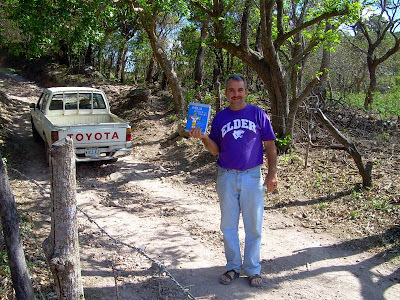 Specific to his work in Nicaragua, is the idea of the common people holding the scriptures in their hands and learning to interpret its message for their everyday reality. Pat believes that Scripture is the true source of all true liberation both on the personal and societal level. Springing from years of experience and in partnership of the Faith and Life Institute, the creators of the Catholic Youth Bible (CYB), Patrick has decided to make scripture one of the main priorities with the young adults of NPH Nicaragua. 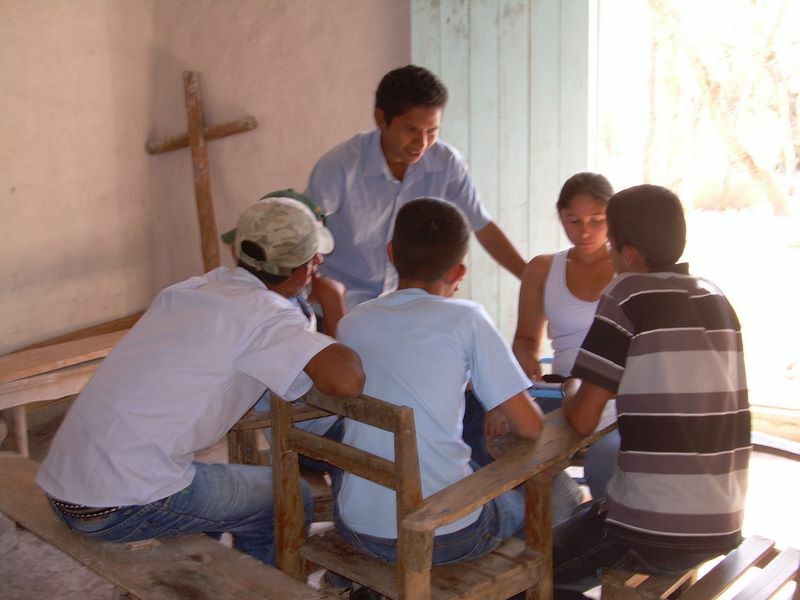 The Faith and Life Institute, out of Stockton California, has organized “The First Bilingual Biblical Mission Among Young People In The Americas – 2009”. This effort is part of a Continental wide Catholic Youth Bible Mission and has been organized by the Faith and Life Institute in partnership with Editorial Verbo Divino, Producciones Dynamis, and Saint Mary’s Press with the collaboration of the United States Catholic Conference of Bishops (USCCB) and Consejo Episcopal Latinoamericano (CELAM). The Nuestros Pequeños Orphanage and Pats is to implement this Continental Wide Biblical Mission in all of the NPH homes in Latin America who are interested, which includes offering the CYB to youth who demonstrate a concrete commitment to do 20 hours of out reach effort in their communities and who desire to participate in 20 hours of introductory biblical study courses, as well as one Biblical Retreat. At the end of the courses and retreat, the youth of NPH will be given certificates and their very own Catholic Youth Bible. Patrick and the directors of NPH Nicaragua have planned biblical retreats for the entire year of 2009 for all of the NPH staff and youth. Weekly Biblical reflection circles have already met for a year at the two homes in Managua. Monthly reflection groups exist in Casa Santiago on the island and the newest home of Casa Padre Wasson. The small reflection groups serve as a medium in which youth can reflect on their lives and connect their experiences from light of the scriptures in order to improve their lives at NPH. The idea of reflecting and studying scripture is new for many of the youth at NPH Nicaragua and will surely take time to fully realize. Father Wasson, the Founder of NPH was honed in the scriptures. You may say that they were what planted the seeds to start NPH. Fr. Bill Wasson left a living testimony and an example to follow. To maintain his spirit alive among us it is essential for the children, teenagers and educators of NPH to have a deep understanding of his life and essential message. Currently there are workshops planned to study his teachings and Philosophy, as well as initiatives to produce a small Children’s book on the life of Father Wasson and other small booklets on the essential teachings of his life. There are also plans, in all of the NPH centers to offer participative Youth Masses and Celebrations of the Work as a means to enrich and deepen the understanding of the Eucharist. Lastly, Patrick and the rest of the NPH staff hope to train potential Christian leaders to lead small groups or lead celebrations of the word in all the NPH – Nicaragua homes. This project is planting one small seed at a time together with the youth of NPH. The Directors of NPH and Patrick hope that in through the study of scripture and Father Wasson’s life the youth will begin to create a new hope in their lives and enable them to create a future full of hope.